Fortune India magazine has released the Fortune 500 India list for 2011 with its December issue. DN Mukerjea, editor, Fortune India Magazine, said: "The Fortune India 500 is a celebration of the size and might of India's companies. "Over the last year, the 500 largest corporations have grown sales by 21.5 per #162 the median growth has been even higher, at about 25 per cent. Such statistics are impressive, no doubt. There also appears to be a fair degree of churn-there are 57 new companies, around 11 per cent of the list. That's always a good sign because it indicates that the laggards are falling by the way, to be replaced by smarter and hungrier ones. "The good news, however, is that many of the Fortune India 500 companies are now beginning to shape the world's opinion of India for the better. 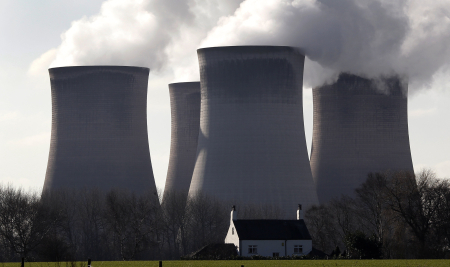 And they may just be doing a better job than their Chinese counterparts." The Fortune India 500, published by Fortune India magazine, is an annual list compiled on the basis of latest sales and gross revenue figures. Let us have a look at top 20 countries ranked by the magazine. Image: The magazine releases an annual list. 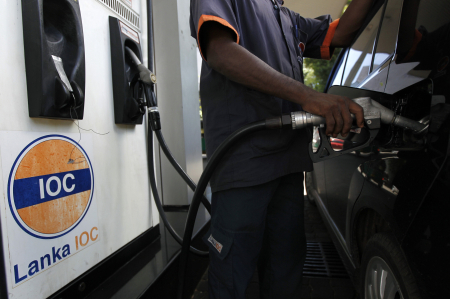 Indian Oil Corporation Limited is a state-owned oil and gas corporation with its headquarters are in Mumbai, India. It is India's largest commercial enterprise. The IndianOil Group of Companies owns and operates 10 of India's 21 refineries with a combined refining capacity of 65.7 million metric tonnes per year. Image: It is India's largest commercial enterprise. 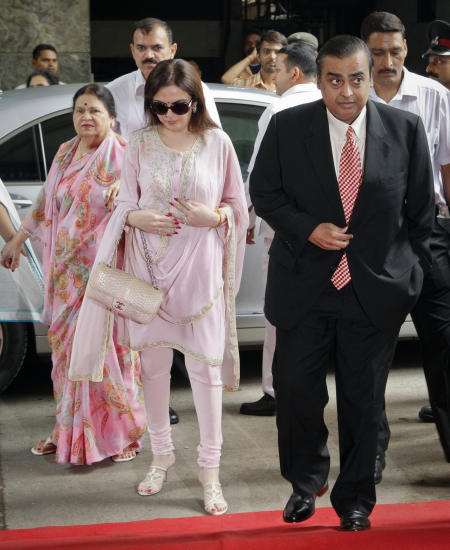 Reliance Industries Limited is an Indian conglomerate company headquartered at Mumbai, India. The company operates through three business segments: petrochemicals, refining, and oil and gas, other segment of the company includes textile, retail business and special economic zone development. Image: Mukesh Amban with his mother Kokilaben, left, and wife Nita, centre, in Mumbai. Bharat Petroleum Corporation Limited is a state-controlled oil and gas company headquartered in Mumbai, India. It owns refineries at Mumbai and Kochi (Kochi Refineries) with a capacity of 12 and 9.5 million metric tonnes per year respectively. 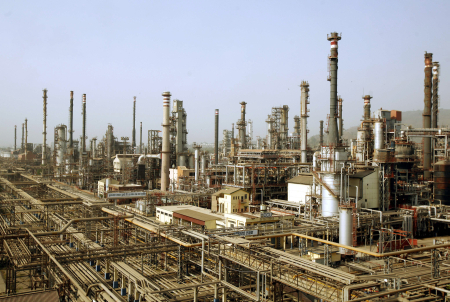 Image: A view of Bharat Petroleum Corporation Ltd refinery in Mumbai. The State Bank of India is the largest Indian banking and financial services company (by turnover and total assets) with its headquarters in Mumbai, India. The bank traces its ancestry to British India, through the Imperial Bank of India, to the founding in 1806 of the Bank of Calcutta, making it the oldest commercial bank in the subcontinent. 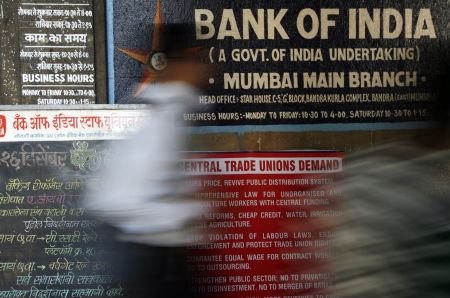 Image: The bank traces its ancestry to British India. Hindustan Petroleum Corporation Limited is a state-owned oil company headquartered in Mumbai. It operates two major refineries producing a wide variety of petroleum fuels and specialties, one in Mumbai (West Coast) of 6.5 million metric tonnes per annum capacity and the other in Vishakapatnam, (East Coast) with a capacity of 8.3 MMTPA. 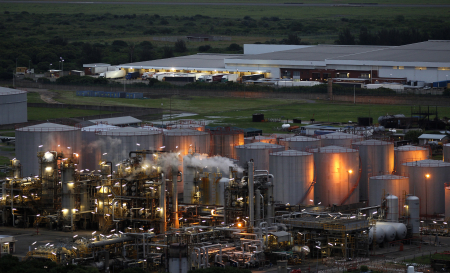 Image: A view of an oil refinery. 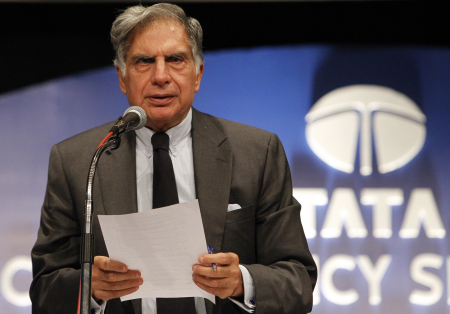 Tata Motors Limited is an Indian multinational automotive corporation headquartered in Mumbai. Part of the Tata Group, it was formerly known as Telco (Tata Engineering and Locomotive Company). Its products include passenger cars, trucks, vans and coaches. 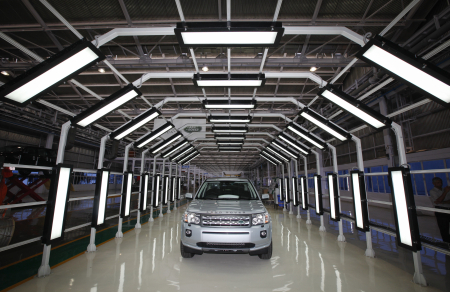 Image: A Jaguar Land Rover Freelander 2 at a plant in Pune. The Oil and Natural Gas Corporation Limited is an Indian state-owned oil and gas company headquartered in New Delhi. It is one of the largest Asia-based oil and gas exploration and production companies, and produces around 77 per cent of India's total crude oil production (and around 30 per cent of total demand) and around 81 per cent of natural gas production. 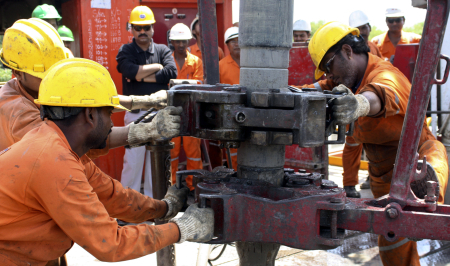 Image: Engineers of Oil and Natural Gas Corp work inside the Kalol oil field in Gujarat. Tata Steel is a multinational steel company headquartered in Jamshedpur, India, and part of Tata Group. 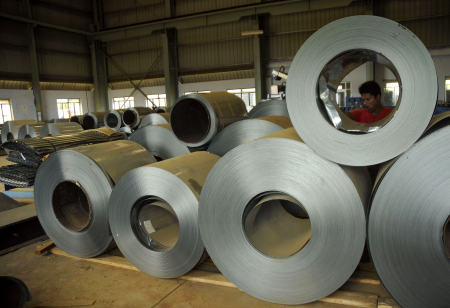 It is the world's seventh-largest steel company, with an annual crude steel capacity of 31 million tonnes, and the largest private-sector steel company in India measured by domestic production. 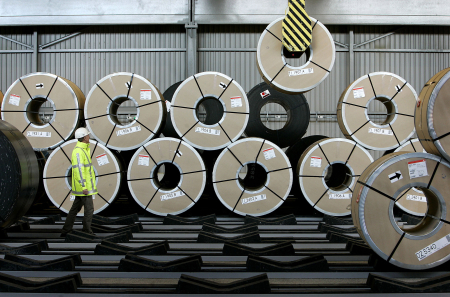 Image: Tata-owned Corus steel factory in Ijmuiden, the Netherlands. 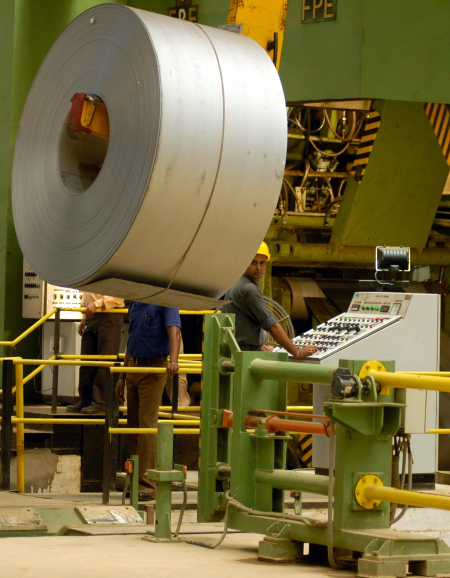 Hindalco Industries is one of the world's largest aluminium manufacturing company and is a subsidiary of the Aditya Birla Group. 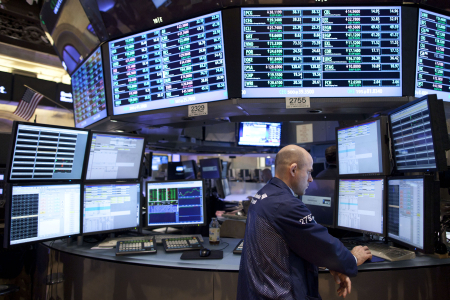 The company has annual sales of $5 billion and employs 13,675 people. 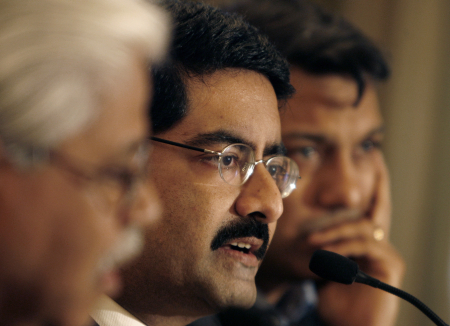 Image: Kumar Mangalam Birla, Chairman, Aditya Birla Group, owns Hindalco Industries. Coal India Limited is a state-controlled coal company headquartered in Kolkata, West Bengal, and the world's largest coal miner. 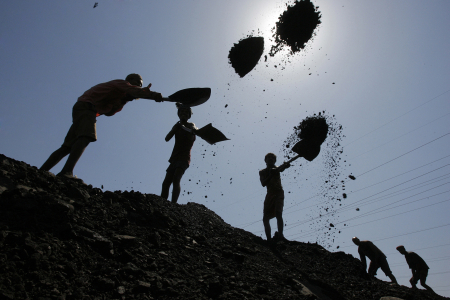 Coal India Limited was formed in 1973 as Coal Mines Authority Limited. In 1975 it was changed to Coal India Limited as a holding company with five subsidiaries. Image: Workers at a coal mine. NTPC Limited is the largest state-owned energy service provider based in New Delhi. It is an Indian public sector company listed on the Bombay Stock Exchange although at present the Government of India holds 84.5 per cent (after divestment the stake by Indian government on October 19, 2009) of its equity. Image: A view of an NTPC plant. 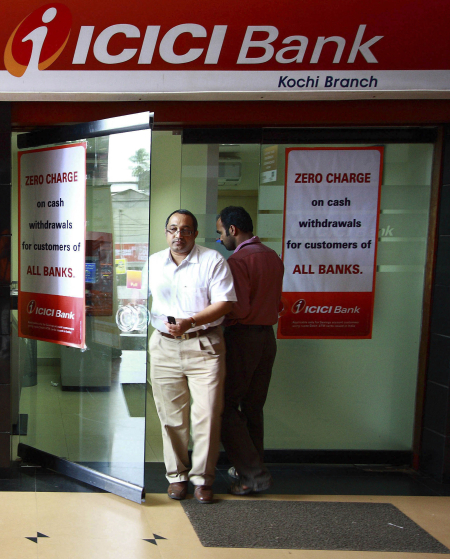 ICICI Bank is India's second-largest financial services company headquartered in Mumbai. It offers a wide range of banking products and financial services to corporate and retail customers through a variety of delivery channels and through its specialised subsidiaries in the areas of investment banking, life and non-life insurance, venture capital and asset management. 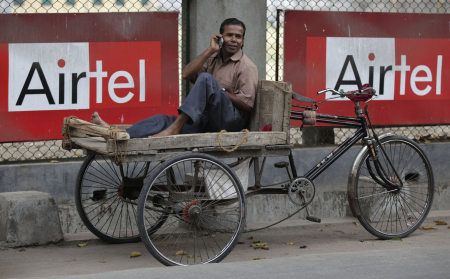 Bharti Airtel Limited is an Indian telecommunications company that operates in 20 countries across South Asia, Africa and the Channel Islands. It operates a GSM network in all countries, providing 2G or 3G services depending upon the country of operation. Larsen and Toubro is an Indian multinational conglomerate headquartered in Mumbai. The company has business interests in engineering, construction, manufacturing, information technology and financial services. Essar Oil is an Indian integrated oil and gas company that is part of the Essar group based in Mumbai. 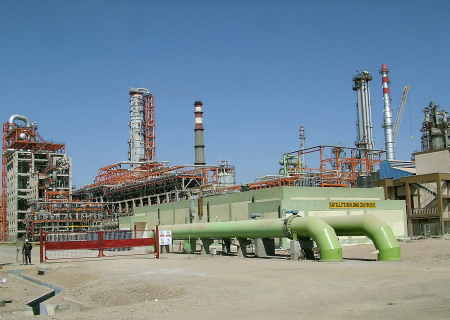 It operates a major refinery in Gujarat, which made it the second-largest non-state refiner in India in 2009. Image: A security guard stands at the gate of Essar Oil's refinery on the outskirts of Jamnagar. Steel Authority of India Limited is one of the largest state-owned steel makers in India and one of the top steel makers in World. Bharat Heavy Electricals Limited is one of the oldest and largest state-owned engineering and manufacturing enterprise in India in the energy-related and infrastructure sector which includes power, railways, transmission and distribution, oil and gas sectors and many more. 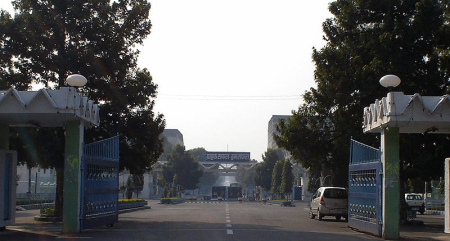 Image: Entrance to BHEL Ranipur, Haridwar plant. Mangalore Refinery and Petrochemicals Limited is an oil refinery at Mangalore and is a subsidiary of ONGC, set up in 1998. 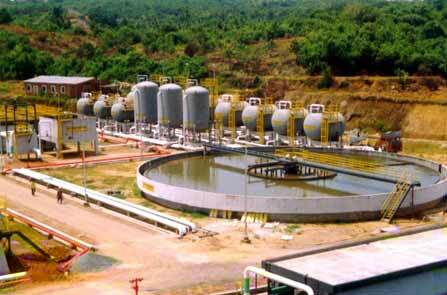 The refinery is located at Katipalla, north from centre of Mangalore city. The refinery was established after displacing five villages of Bala, Kalavar, Kuthetoor, Katipalla, and Adyapadi. 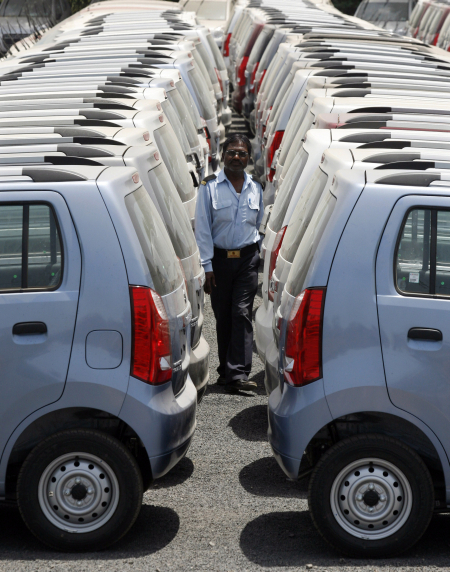 Maruti Suzuki India Limited is a subsidiary company of Japanese automobile and motorcycle manufacturer Suzuki. The company offers a complete range of cars from entry level Maruti 800 and Alto, to hatchback Ritz, A-Star, Swift, Wagon-R, Estillo and sedans DZire, SX4, in the 'C' segment Maruti Eeco and Sports Utility vehicle Grand Vitara. Tata Consultancy Services Limited is a global IT services, business solutions and outsourcing company headquartered in Mumbai, and a subsidiary of the Tata Group conglomerate. It is the second-largest India-based provider of business process outsourcing services.